Ramon Bosch (Girona, 1974). Architect, Escola Superior d’Arquitectura de Barcelona, 2000. Bet Capdeferro (Girona, 1970). Architect, Escola Superior d’Arquitectura de Barcelona, 1999. Understanding the value of the passage of time and its ability to sketch the textures of a place, working very carefully not to erase previous tracks, convinced that a building that has survived for so many centuries will continue to live on beyond this intervention. Finding ceramic pieces and giving them a new life in an application that is at once unique and very much in harmony with where they are placed, since they pertained to the place long before the arrival of architecture. A lucid reflection on the role of architecture in interventions to existing buildings and on the poetics of the textures that a building gains over the course of time. Francisco Cifuentes (Palma, 1977). Architect, Escola Superior d’Arquitectura de Barcelona, 2002. An architecture that approaches construction with knowledge gleaned from the popular techniques used throughout the town to build, raising these modest materials (thermal clay bricks, cement joists, pine windows) to the category of archetypes of popular architecture. A project that seeks only to build in the most logical and economical way possible with neither affectations, surprises nor claims to modernity, thereby achieving an almost perfect adaptation to the rural landscape where it is situated with a quality of interior comfort that is extremely respectful to the user. A project of great technical and professional sophistication that enables open development in which the inhabitant is complicit and aware of its evolution, in such a way that what is casual winds up composing a visual and aesthetic perspective on life itself. Núria Salvadó (Barcelona, 1973). Architect, Escola Superior d’Arquitectura de Barcelona, 1999. David Tapias (Barcelona, 1974). Architect, Escola Superior d’Arquitectura de Barcelona, 1999. An architecture that acknowledges the morphology of neighboring farms and seeks to merge into them and disappear with no designs on standing out or being different, thus avoiding any incompatibility with an architectural language built up on a provisional basis over the years with no aesthetic ambitions and now developed into a homogenous setting. Building with the same ceramic materials but making full use of their technical potential to construct an interior space with a dense and pleasant texture, far removed from the standards of the official and repetitive aesthetic of recent years, creating an extraordinarily human space that admits the provisional nature of nearby constructions to suggest the users’ active involvement in rounding it off. Jaume Blancafort (Barcelona, 1970). Architect, Escola Superior d’Arquitectura de Barcelona, 1996. Patricia Reus (Múrcia, 1975). Architect, Escola Superior d’Arquitectura de València, 2000. 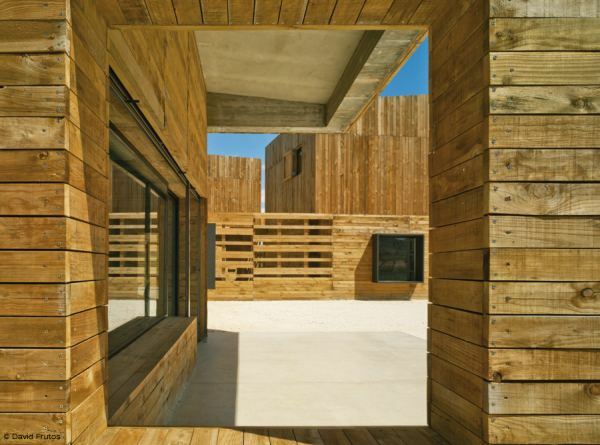 The three houses are clad in pine to unite them as one and help them blend in with the landscape of cultivated fields, as if they were boxes of fruit someone had left behind. A porous, light and pleasing material that will age at the pace of its users, built as a solution of unbroken siding and jalousies, volume and fence, melding the three houses into a single architectural work. 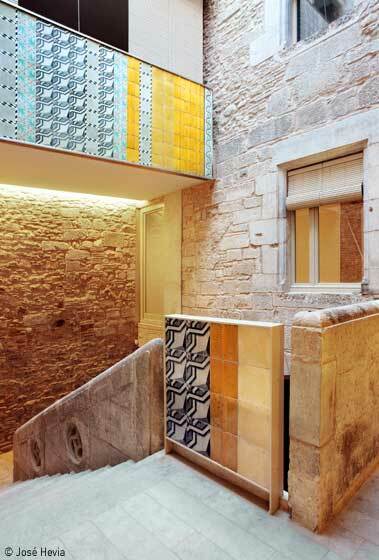 Inside, the use of decorated tiles evokes popular architecture and humanizes the spaces with color and density. Outside, the sophisticated creation of a space with urban roots; out of a desire for collective cohabitation and the need to protect individual intimacy it also addresses the logic of the relationship with the natural environment and the particular local climate. Meritxell Inaraja (Vic, 1968). Architect, Escola Superior d’Arquitectura de Barcelona, 1994. 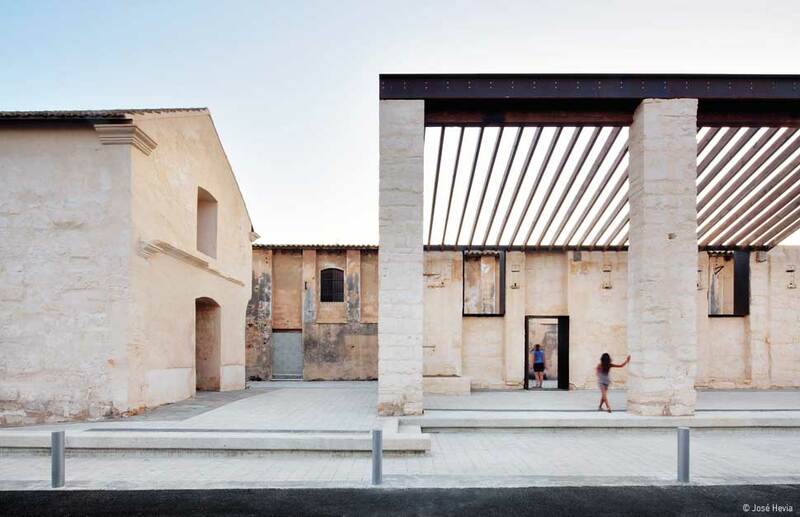 An intervention in a historic building that seeks to make visible the different layers the site has built up over time, uncovering arches and openings that over previous eras had become buried. A contemporary undertaking that draws attention to the courtyard and eludes contrast with what is there, striving to build a homogenous composition. A project equipped to understand and enhance the visual component of the relationship between large and small, open and closed, using material construction and the definition of spaces, configuring this relationship in a setting of crossed viewpoints and intimations that reveal and conceal as does a living being in constant transformation. Jaime J. Ferrer Forés (Palma, 1975). Dr. Architect, Universitat Politècnica de Catalunya, 2006. Planning for where a new road should pass through an old factory. The decision, however, to preserve the existing architecture, endeavoring to cauterize the wound inflicted by this road in the least painful way possible. Interior architecture that is suddenly exposed to public view. Construction within the shared fabric of fragile existing canvases (understood as full) with the profiling of new holes in metal frames that simultaneously manages to bolster the structural strength of the complex and offer an urban atmosphere where the surprise and recreation life brings is a setting of great power and beauty. 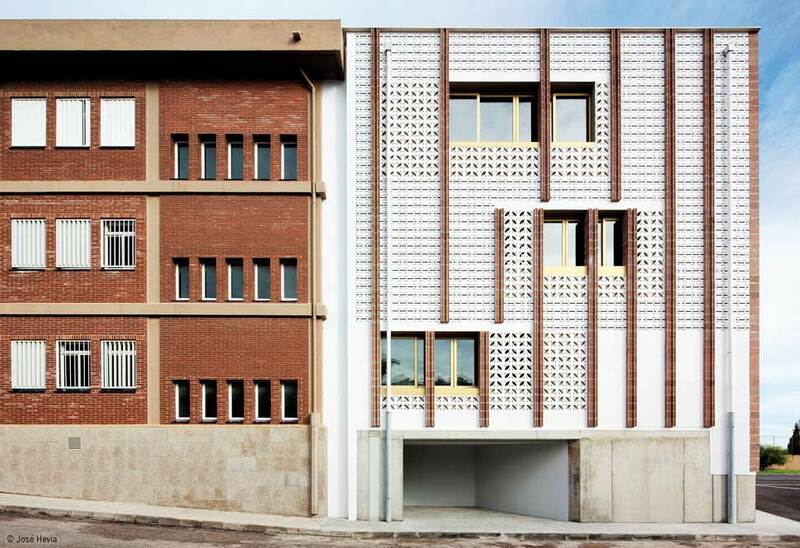 A project that draws from the change in sensibility of contemporary society with respect to what already exists. Olga Felip (Girona, 1980). Architect, Escola Superior d’Arquitectura de Barcelona, 2005. Josep Camps (Tortosa, 1975). Architect, Escola Superior d’Arquitectura de Barcelona, 2001. A building where volume and wall merge to construct a space where the limits between exterior and interior disappear in a physical and material way with the contrast of materials: metallic and stone, sensory and abstract... through a studied interplay of light and shadow which are inherent to the human experience and our aspirations for aesthetics and comfort. 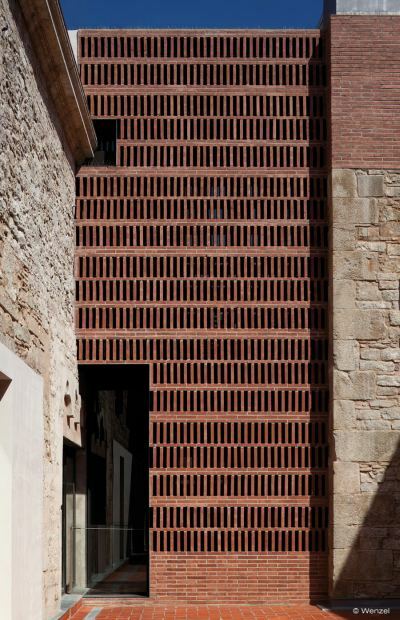 A material that establishes itself as the project’s motif through repetition. A project that generously creates a public space offering access to the facility through its gesture. Aina Salvà (Palma, 1974). Architect, Escola Superior d’Arquitectura de la UIC, 2002. Alberto Sánchez (Vila de Cruces, Pontevedra, 1974). Architect, University of North London, 1999. Antonio Marqués. Palma de Mallorca, 1971. 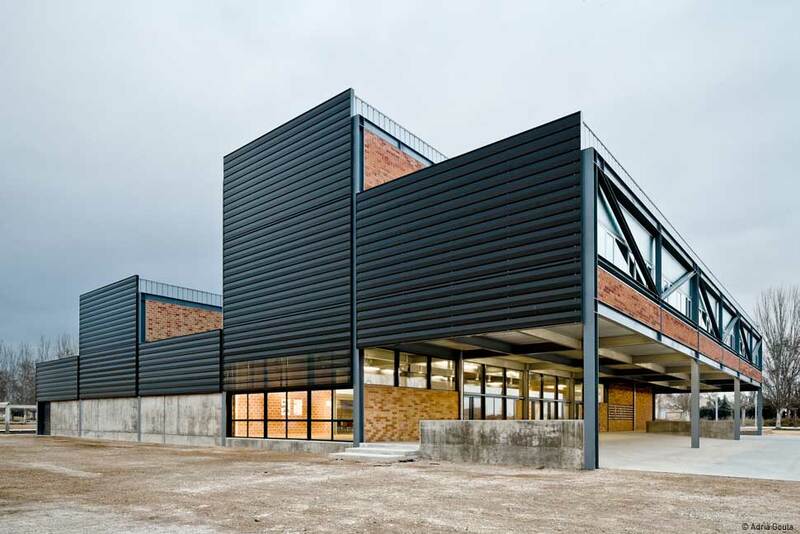 Escola Tècnica Superior d'Arquitectura de Madrid (2000). The use of the most commonplace materials, ubiquitous in the popular architecture of the islands, which over time have become embedded in the memory of the islanders. Implementing these materials and all that they represent in an atypical way in architecture with great formal expressivity in which each of these elements (jalousies, gold aluminum carpentry work, furnishings) help to build a very personal imaginary. Seeking nonetheless to work in harmony with the coexisting architecture, in a gesture at once modest and remarkably bold. Providing effective permeability that contributes to energetic efficiency and protection while offering a unique visual experience through the technical resource capabilities of the building materials. David Sebastian (Barcelona, 1973). Architect, Escola Superior d’Arquitectura de Barcelona, 2001. Gerard Puig (Ullà, Girona, 1973). Architect, Escola Superior d’Arquitectura de Barcelona, 2001. A school that seeks to be contaminated not only the past but the future, joining forces with the fair pavilion to be built next to it. 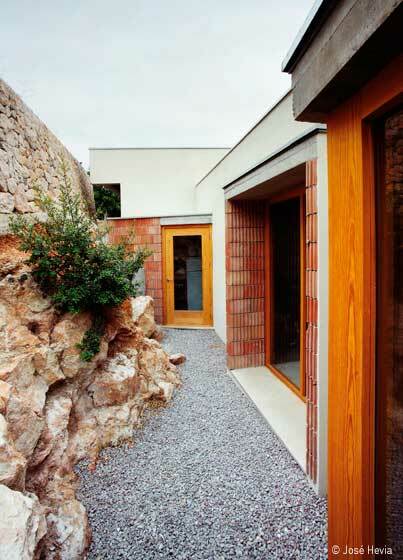 The project offers a new topography in sections, planned as an open system rather than a finished architectural work. A game plan that admits sudden changes in schedule or program and which endeavors to adapt intelligently to the current situation. A project whose sophistication is rooted in the visual ease with which different scales of building materials coexist—small-scale in its ceramic work and colossal in metal structure—enabling an offering of spaces with formal and vital liberty which admit multipurpose use and are at the same time very mindful of the actual proportions of people and their sensory needs for protection and comfort. "He who forges ahead creating something new does so like a rower, moving forward but back-paddling, looking behind him, towards the past, towards what exists, so as to be able to reinvent its underpinnings."